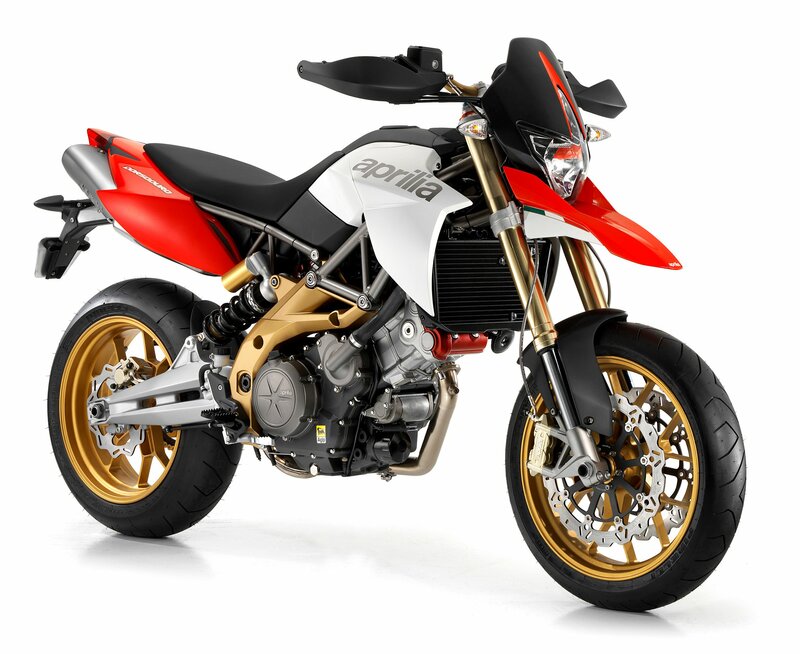 After gaining experience from GP and supermotard circuits, Aprilia has designed and produced the Aprilia SMV750 Dorsoduro. Named after an area of Venice, the Dorsoduro utilizes a derivative of Aprilia’s 92 hp 750cc liquid-cooled engine with a second generation ride-by-wire control system. 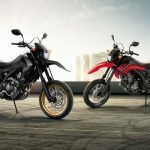 With the US debut of the mid-size SMV750 Dorsoduro, the Italian manufacturer now offers American riding enthusiasts a lightweight, high-performance V-Twin streetbike that combinesall the benefits of supermoto styling and riding position with precision handling and race-bred technology. With five Supermoto World Championships in the record books, Aprilia knows a thing or two about what it takes to make a winner. If the Ducati Hypermotard woke up in the middle of the night from a cold sweat recently, it has the Dorsoduro to thank.